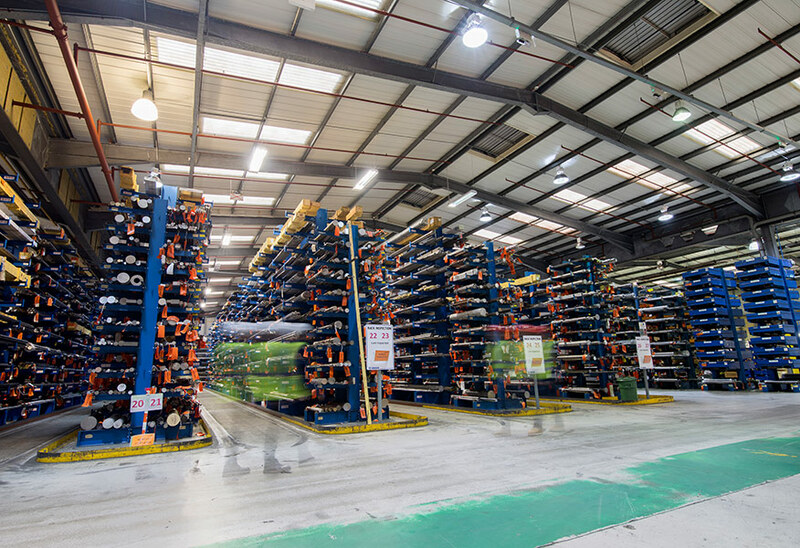 Tamlite Lighting boosts lighting quality and reliability for UK thyssenkrupp site. Tamlite have completed the installation of a range of lighting solutions at Thyssenkrupp, one of the world’s most prominent aerospace suppliers. In partnership with CEF, MODLED LG PRO fittings were supplied for the offices at the Milton Keynes site. 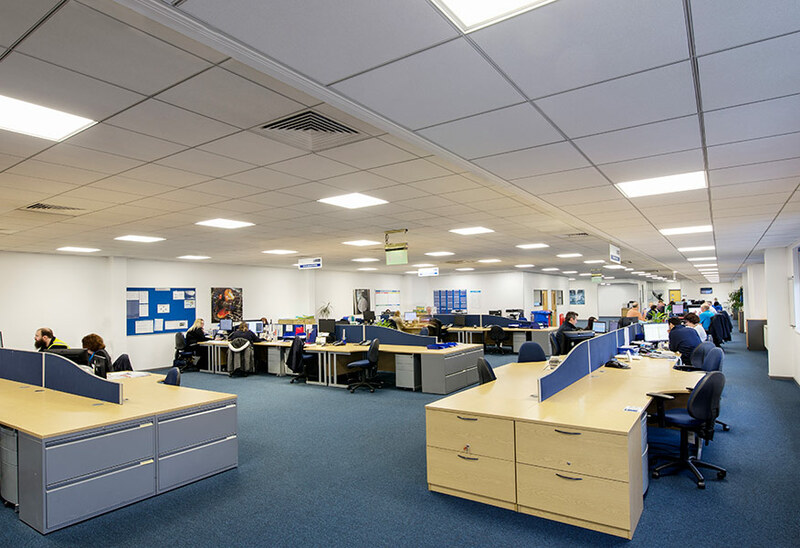 These replaced the existing fluorescent fittings, which did not provide consistent lighting throughout the workspace. These edge-lit panels provide a comfortable and productive environment for office workers, fitted with an LG7 I-Tech diffuser to significantly reduce glare. 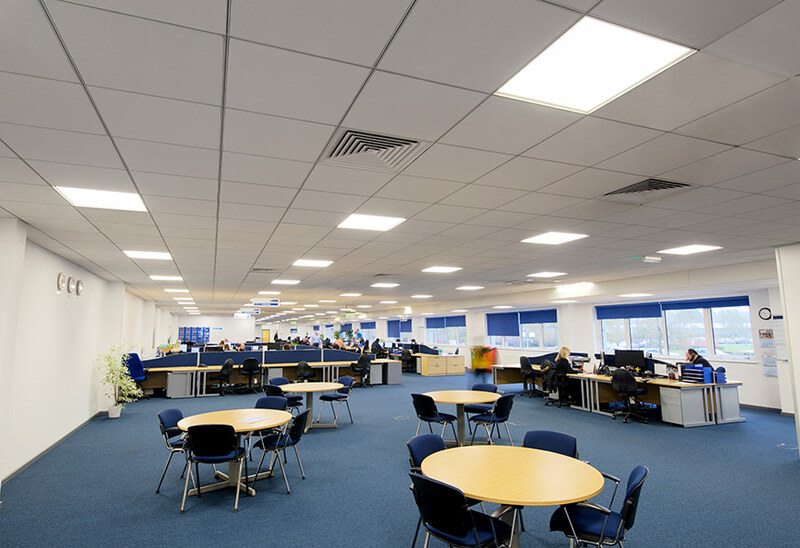 The new lighting system has greatly reduced flickering, and has provided a more even lighting distribution across the open-plan office. 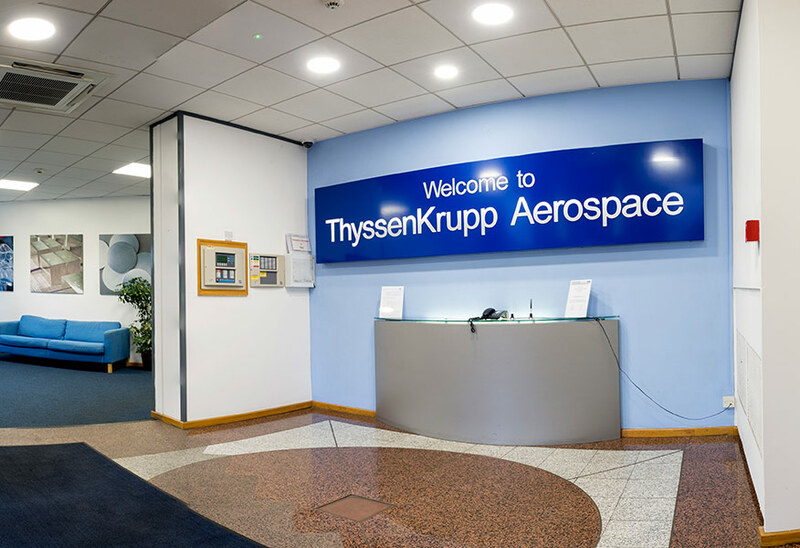 Click here for Office or here for Warehouse to see the full details of the THYSSENKRUPP AEROSPACE UK lighting upgrade.